DUBAI (Sputnik) - Deliveries of S-300 air defense systems by Russia to the Syrian army will damage not only Israel's, but also Turkey's interests, an expert from the UAE-based Al-Mustaqbal think tank, Dr. Shadi Abdel Wahhab, told Sputnik on Monday. "Russia's delivery to Syria of the S-300 system will make strikes on Syrian territory a very costly exercise for Israel, this will strengthen the positions of Iran and the pro-Iranian Shiite group Hezbollah, whose facilities in Syria are subjected to Israeli strikes, but Turkey will be another loser. If the military operation in Idlib in the northeast of Syria resumes, the strikes of US aircraft at the Syrian army will be hindered if it has the S-300 system," Abdel Wahhab said. 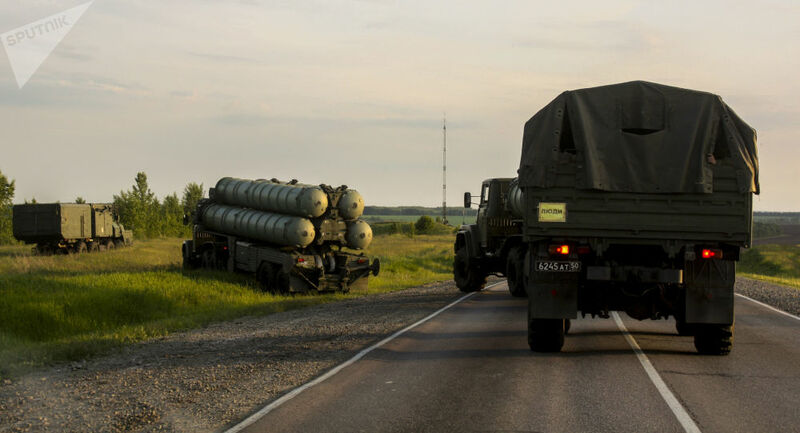 According to the expert, Syria's S-300 system poses a threat to all countries that are going to bomb its territory, and this applies not only to Israel, but also to the United States, as well as other countries that are part of the coalition. At the same time, Abdel Wahhab believes that Israel will continue to persuade Russia to avoid such actions and will try to give it guarantees of non-repetition of incidents similar to what happened to the Russian Il-20, since the S-300 system would allow Damascus to control the entire Israeli airspace. Earlier on Monday, Russian Defense Minister Sergei Shoigu announced measures on increasing security of Russian servicemen in response to the crash of Russian Il-20 military aircraft, which Russia believes Israel is responsible for. Shoigu explained Russia would equip the Syrian air defense forces’ command posts with automatic control systems, which had been previously possessed only by Russia, jam satellite navigation, on-board radars and communication systems of combat aviation attacking Syrian targets and, most importantly, supply S-300 air defense systems to Syria within two weeks. The minister noted that in 2013, Russia suspended supplies of the S-300 to Syria at Israel's request, but now the situation has changed, and it's not Russia's fault. On September 17, the Russian Hmeimim air base in Syria lost contact with the crew of the military aircraft, which was monitoring the situation on the ground in Syria's Idlib province. At the same time, four Israeli F-16 jets were hitting Syrian targets in Latakia province. According to Shoigu, Israel had not notified the Russian military of its airstrikes until only one minute before the fact and failed to provide the location of its bombers to Russia. As a result, the Il-20 was caught in the crossfire and downed by a missile launched by Syria's S-200 air defense system.